*The free item to be chosen in checkout, and will automatically be discounted in your cart once both the qualifying item and the free item have been added. Limit 2 per customer. Valid on select items, qualifying items are identified on the product page. Offer valid until 11:59pm ET on April 30, 2019 or while supplies last. No adjustments to previous purchases. Subject to change without notice. 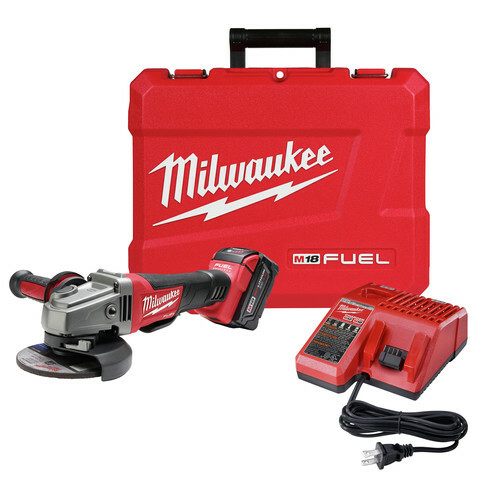 Milwaukee's M18 FUEL Cordless Lithium-Ion 1-9/16 in. Rotary Hammer delivers faster than corded speed, corded durability, and all day work on one charge. The Milwaukee POWERSTATE Brushless motor provides 5 ft-lbs. of impact energy, 0 - 450 RPM and 0 - 3,000 BPM. We bought this to go through four inches of concrete to get to some plumbing. I had a half charged 9.0Ah battery that I started with. It worked pretty good. Once I put in a fully charged 9.0Ah battery, it became a concrete destroying hammer. Less than 20 minutes to open up two areas. The concrete did not stand a chance. I use this tool inside and out where no power is readily available and have 5 9AH batteries and 3 quick chargers. This tool is a time saver and that equals money. This tool has more than paid for itself many times over. 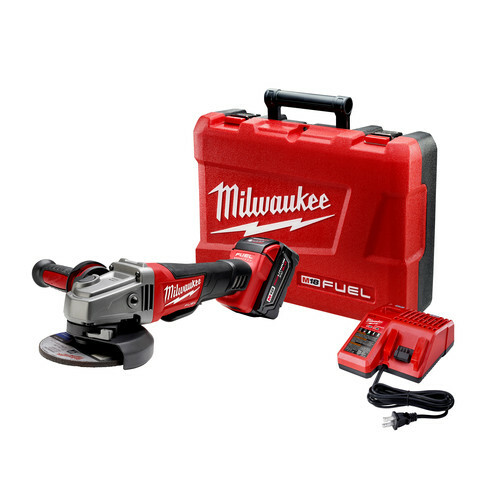 In my opinion it's the best tool Milwaukee has ever produced. I love it! No doubt it drills faster than my 5/8 cordless. My first time using it, I was able to drill 21 1/2"x6" holes in concrete on the first 9 ah battery pack, not spectacular but got the job done, still better than dragging out a cord and generator. This is my first sds max drill and in order to use my sds plus bits I bought an adapter to continue using them, I wonder if the adapter could have reduced the drilling effectiveness? Being an electrician, you are either up in the air drilling holes, or down in a crawl space, never close to an outlet, always need a generator, because if they call an electrician they need power where there isn't any, so this cordless hammer drill will be the perfect tool for those holes when you are running conduit,, plus I bought a ground rod driver for it, just to make my life easier! Will this tool drive ground rods? BEST ANSWER: Yes. There is a specialty bit you can buy for driving ground rods. yes . but you must buy a ground rod driver. Will this drill drive a ground rod? Does the motor strain at all, or does it seem it has plenty of power? What is the weight with one battery? BEST ANSWER: Around 14 pounds with battery. what is the weight without a battery?